SquadLocker™, Rhode Island’s premier provider of athletic apparel, uniforms and team gear has become a contributor of the US Lacrosse First Stick Program which is dedicated to breaking down barriers and delivering comprehensive developmental and safety resources, equipment, and coach training to awarded teams. A key collaborator in US Lacrosse’s “First Stick” program, SquadLocker donates gear to selected schools to help them fully outfit their newly created teams. As part of this initiative SquadLocker has been partnered with Achievement First Bridgeport Academy located in Bridgeport CT, a fifth-through eighth-grade school enrolling students from many of Bridgeport’s most under-served neighborhoods, to assist in launching its first lacrosse program for boys. “SquadLocker is thrilled to support the US Lacrosse First Stick Program. By participating in this impressive initiative we are able to help Achievement First Bridgeport Academy students to gain the valuable life lessons that come from participating in team sports. We feel very strongly that the leadership and team building skills that come from participating in lacrosse helps young people to grow into healthier and happier young adults,” stated SquadLocker’s president, Todd Grant. The pilot program, which will initially introduce 24 boys to the sport of lacrosse, is being headed by Vincent DiScala a former lacrosse player and coach. SquadLocker is a full-service team dealer providing team gear, apparel and uniforms and a superior customer experience. Located in Warwick, RI in a 34,000 sq. ft. facility, SquadLocker is a market leading team dealer providing diverse selection of athletic apparel including brands such as Under Armour, Adidas, Champion, and many more. All of your team gear... for every season... from one source. Learn more at www.squadlocker.com. 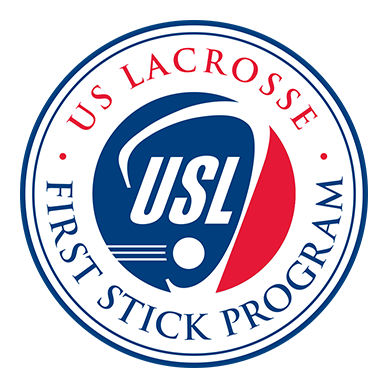 The First Stick Program is designed to deliver comprehensive US Lacrosse developmental and safety resources, equipment, US Lacrosse membership and coach training to awarded teams. The ultimate goal of each two-year partnership is to develop self-sustaining youth lacrosse programs that operate by US Lacrosse national standards and best practices. Achievement First Bridgeport Academy Middle is part of the Achievement First network of 25 non-profit, high-performing, college-preparatory, K to 12 public charter schools, serving nearly 8,000 urban students in Connecticut, New York, and Rhode Island. The mission of Achievement First is to deliver on the promise of equal educational opportunity for all of America's children.